What are you going to eat when your baby arrives? Who has time to cook during the whirlwind of the first few weeks? I am here to help to make your post-baby life a little easier! Enter freezer meals for new moms. When I was expecting my first baby, she waited to come out till the 41st week! I was so ready for her! While waiting, day after day I kept cleaning and preparing freezer meals because my nesting instincts were in extra high gear. I was very happy I did though because feeding my husband and stepdaughter after the baby was born was a lot easier and I definitely didn’t have time to cook then. Ever since, I have had two more babies and learned a thing or two about what meals work for a family, what meals will freeze well and how to eat healthier. Today I am going to share with you 10 yummy freezer meals for new moms you can prepare before your baby is born. No, they are definitely not all casseroles. They are all fairly easy, kid-friendly recipes that you can double to have even more to freeze. 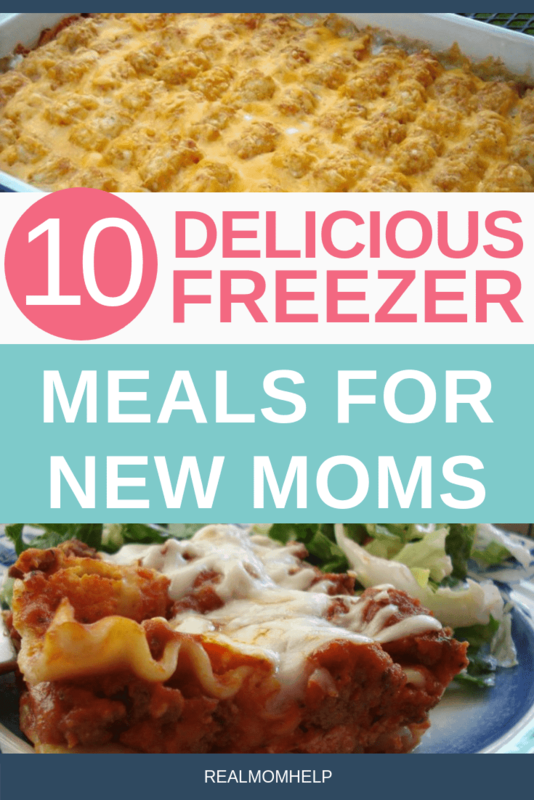 I know you will love these freezer meals and they will serve you well post-partum! This is a recipe I make at least a few times a month. Not only is it a family favorite, it’s quick and freezes well. I use less sour cream than the recipe calls for and pour sauce over the enchiladas without the diced chili in it to please my picky eaters. I like to buy a rotisserie chicken, mix it up with taco seasoning and fill the tortillas with that instead of just plain shredded chicken. Sometimes, the best way to cut down on cooking time is to have the meat prepped ahead of time. Trimming, cutting, browning, marinating and cleaning up meat is tedious, so why not do it in bigger batches? Ground beef or turkey can be browned in the crockpot too, and just divide it into quart size ziplocks, label, and freeze. Now you have meat prepped for meals that require browned ground beef (most often Italian or Mexican). 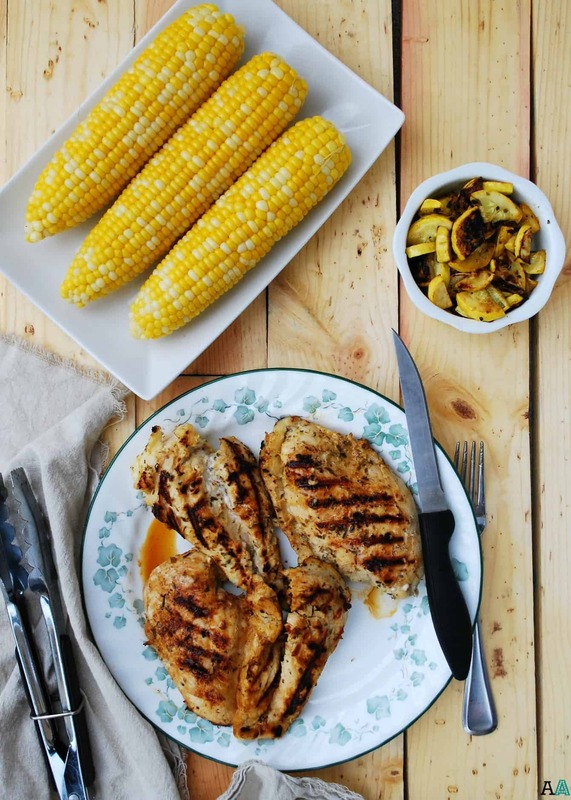 Here is a quick recipe to marinate chicken breasts. I like to use already minced garlic or even garlic powder (reduce the amount to half), lemon juice in a bottle and I usually omit the thyme. Just trim and cut up the chicken the way you like, and throw in ziplock bags with the marinade and freeze. On cooking day, thaw and proceed with your preferred cooking method. Another option is to marinate and grill the chicken, then slice it and freeze it for quick meals. 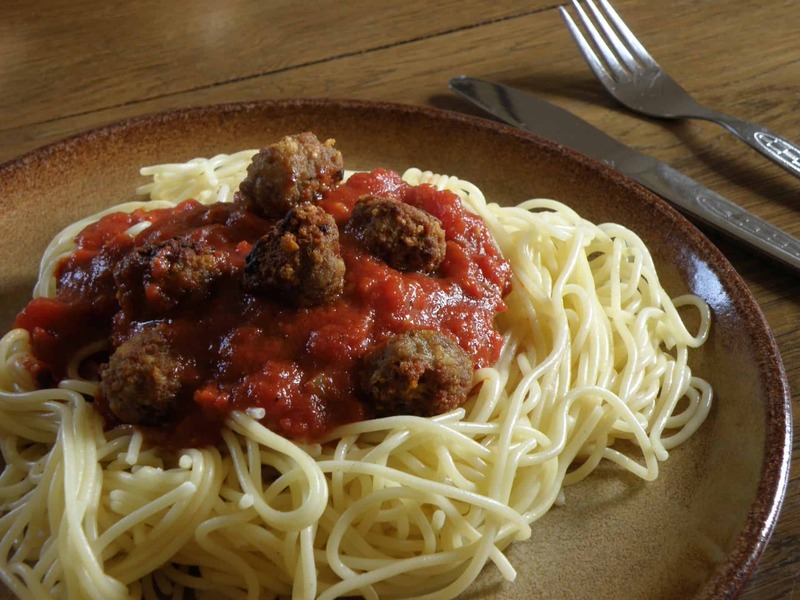 This meal is very filling and works really well for quick lunches. Make this super easy refried beans recipe from the Money Saving Mom. Then fill tortilla shells with refried beans, Mexican rice, and cheese. Roll up burrito style, wrap in foil and place in freezer bag. To reheat, either put it in the microwave or in the oven. Enjoy with sour cream and salsa. 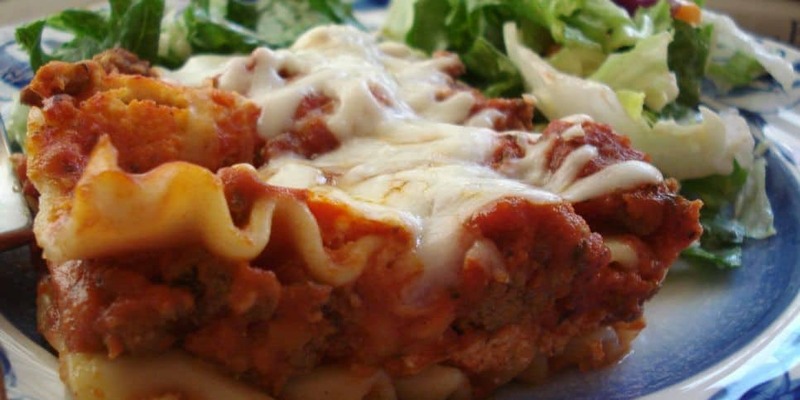 I love no-boil lasagna noodles! If you have never tried them, you’re missing out! This recipe is fast because it uses the no-boil noodles and you can cook it straight from frozen, just make sure to double the cooking time. I like to freeze mine in an aluminum pan and wrap it really good with foil. I adore The Pioneer Woman’s recipes, and this one is no different. 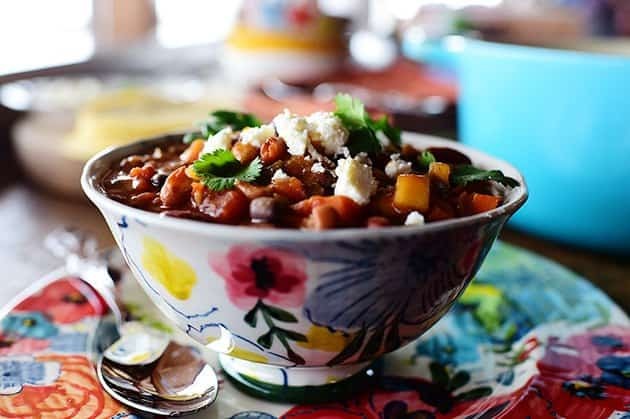 This chili is choke full of all things healthy for a new mom: veggies, beans, avocados, broth. I also tried adding browned ground beef, and it was just as great. I recommend cooking the chili first and then freezing it in portions in Ziplocks or wide mouth mason jars. I fill the jars with a funnel a little less than full, so the soup has room to expand as it freezes, and use these caps instead of the metal ones. Image credit and recipe: Grace and Good Eats. This is a great recipe to have on hand for tacos, nachos or even soups. 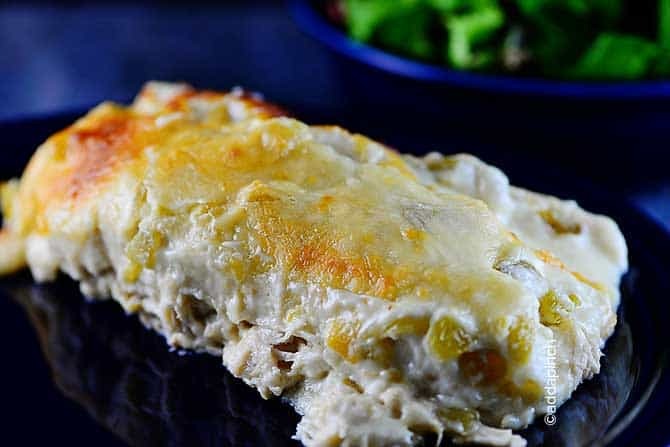 I love that it is creamy, but make sure to freeze the chicken without the cream cheese and only add during the last few minutes of cooking. 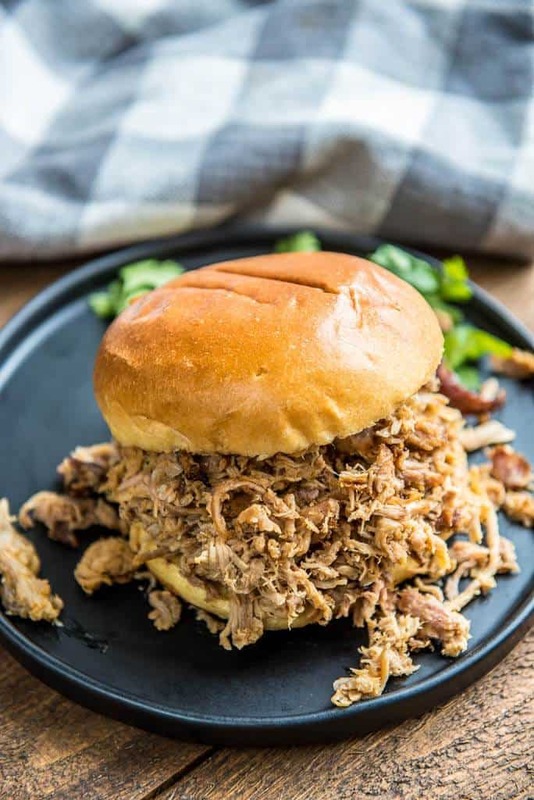 Pulled pork can be used for sandwiches, tacos or on its own with a starchy side. It’s so versatile, it should be on everybody’s “freezer meals for new moms” list. Just prepare the spices, rub it over the pork and freeze in double ziplock bags. On cooking day, there is no need to thaw, just put it in the crockpot and cook it all day. Of course, you can cook it first, shred and freeze in portions, up to you! Make the recipe according to directions, then freeze in a freezer-safe container (I beg you not to mess with anything else. These are the best!). You can also cook your noodles according to directions, and freeze in a large ziplock bag. Then just heat and eat. Image credit and recipe: Mommy’s Kitchen. 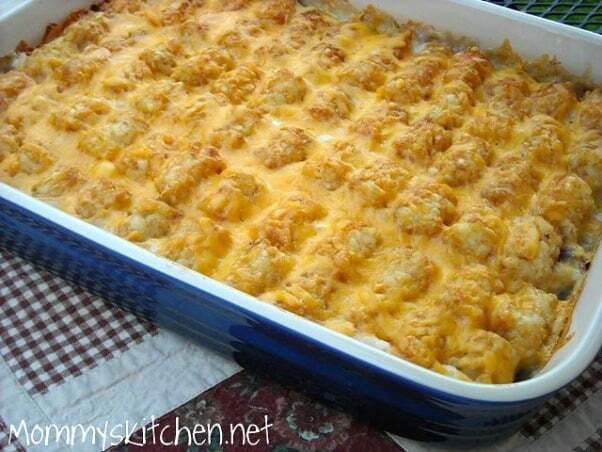 An easy and comforting casserole for the whole family! I don’t like potatoes that have been frozen, and by using pre-made, and correctly frozen tater tots, I avoid the soggy potatoes problem. I don’t like the texture and taste of potatoes that have been home-frozen, so by using pre-made tater tots, I avoid the soggy potatoes problem. 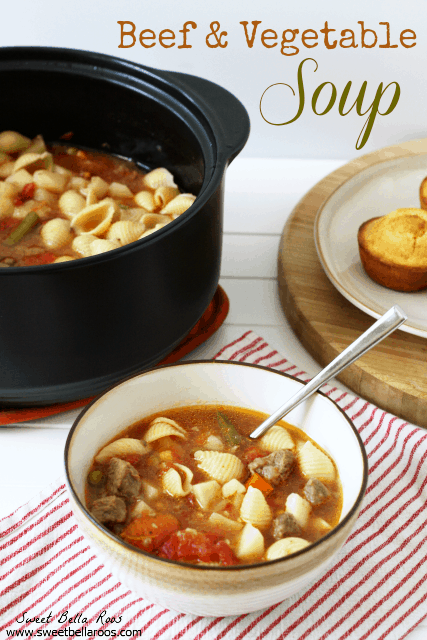 This soup is nourishing and can be served with an easy side salad or whole wheat bread. Since it uses frozen veggies, you can rest assured that you avoid the above mentioned soggy vegetable problem. Just add the noodles on the day of cooking. By now I am sure you have noticed you cannot have a baby without owning a slow cooker. Remember, your freezer meals are only as good as your freezing method and prep. I had to learn that the hard way. Come back and tell me which one was your favorite. What other freezer meals would you add to the list? 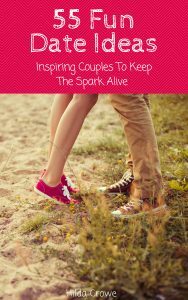 If you think this post is awesome, share it, please! 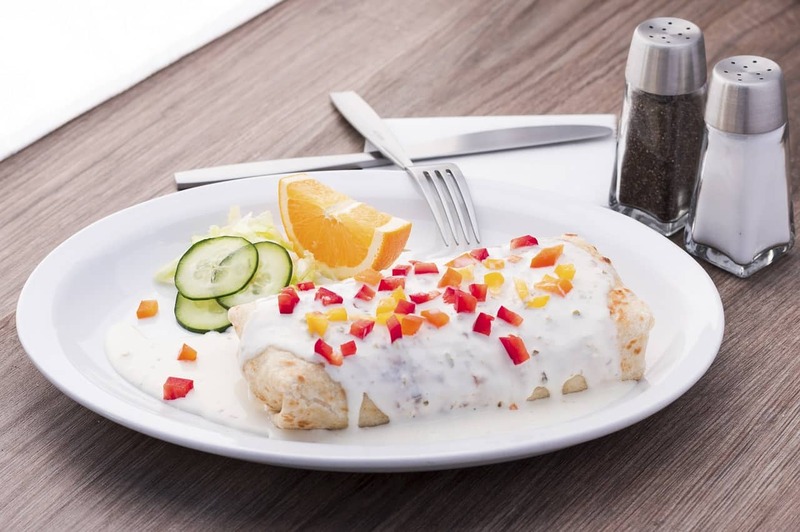 Thanks so much for sharing my White Chicken Enchiladas! 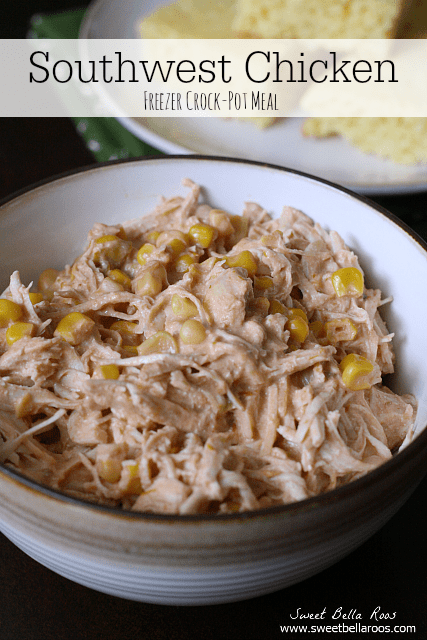 I’m so happy you enjoy this recipe – it is perfect for planning ahead! It’s one of our favorites too! glad you visited! yes, we absolutely love those enchiladas!